Posted by Landry Shorkey on February 5, 2019 in News, Student Life, Top Stories, University News. It is bound to be a trip down memory lane at Music Takes Action (MTA) 2019. 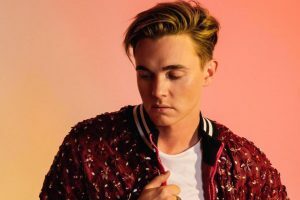 Entertainment Unlimited announced that Jesse McCartney is set to headline the annual concert, which will be taking place 7 p.m. Saturday, March 30 at Wink Arena. The doors will open at 6 p.m. Tickets can be purchased at the Entertainment Unlimited office in University Center 121B as part of the $5 student rush sale until Friday, Feb. 8. General admission tickets can then be purchased beginning Monday, Feb. 11, at the Wink Arena box office for $10. Tickets can also be purchased online through Star Tickets and students will find the link on the MTA Facebook page when it is active. Student reactions to the news were mixed. Some students, like Ferris elementary education sophomore Lauren Jones, were excited. However, some students were disappointed about the artist. “I don’t really know Jesse McCartney. I thought he seemed kind of old-timey, boy-band like. Just like a classic heartthrob, so I wasn’t super thrilled when I heard,” Ferris environmental biology sophomore McKenna Saunders said. Many students said that MTA is a fun event that is affordable and worth attending for the experience. Ferris plastics engineering freshman Zackery Backus said that he does not know a lot of Jesse McCartney’s music, but will probably still attend the concert. Student input was considered through a survey to select the artist, Ferris music and entertainment business junior and Music Takes Action Student Coordinator Ally Bala said. “We kind of knew a genre that we wanted to go with already, and this genre, pop, was the most popular, so we went with that and we based it off the artists that were most chosen. Some were out of budget, but Jesse was in our budget,” Bala said. Students are also given the option to meet Jesse McCartney following the show with the purchase of a $40 meet and greet pass. They will be on sale beginning Monday, Feb. 11, in the CLACS office using cash, or on the MTA Facebook page via credit card. In previous years, students had to win meet and greet passes, but the new system this year allows anyone to purchase them, Bala said. The concert is a benefit event, with proceeds from this year being donated to i understand (love heals). i understand is a non-profit organization dealing with mental illness and suicide, according to the MTA Facebook page.